This fan free system is designed for application in no noise environments and longevity of use in harsh climate areas. Housed with stylish aluminum case and textured on high-gloss polycarbonate front bezel, this series will add a fashionable spotlight to your counter while providing effective ventilation for quiet operation. 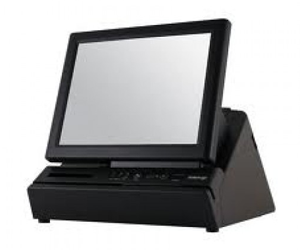 High serviceability is emphasized in this series with user-friendly device maintenance trough at the back of the monitor for easy HDD installation/removal and simple memory upgrade ability. 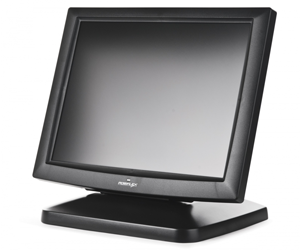 TM-7115N-B touch monitor offers the spill proof protection, which is suitable for POS, and hospitality applications where operators need ease of use and accuracy. Most stable touch system that presents no wobbling even when pressed at the corners. High quality 15” TFT active matrix LCD panel. 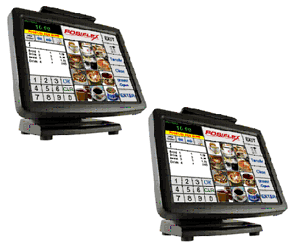 Vertical type LCD panel with easy tilt angle adjustment from 15° to 70°. 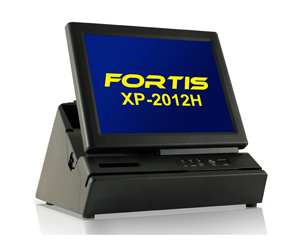 Support 2 USB ports and option FA-200 MSR. Extra long life touch panel that endures up to 35 million touches in one location. Spill proof water resistant structure allowing easy cleaning. Touch control functions: left/right button, double click, drag & drop. Touch sound can be pitch adjusted and enabled/disabled by software control. 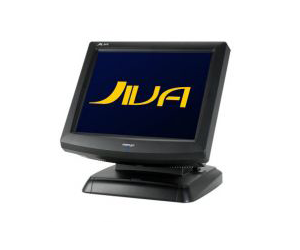 JIVA-5815N pro by POSIFLEX is a type of cost effective, high performance terminal that can easily operate with various kinds of customer applications in Hospitality, Retail, and Kiosk. With a unique space saving footprint design, the JIVA-5815 Pro functions for both countertop and wall mount operation. The JIVA-5815 pro contains a standard 3.5" Hard Disk Drive and can be utilized as a fat-client in the client/server architecture. It supports Windows 2000/XP Pro/WEPOS/Linux. All-in-one integrated system with touch screen, thermal printer and MSR that cleans up the counter space of all the unsightly wining. Fan-free design with aluminum die casting structure ideally suited for both harsh and quiet environment. 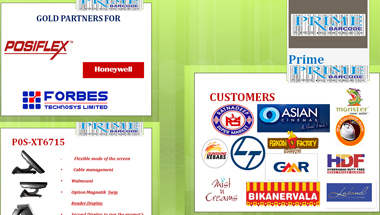 High quality, rock solid build & design with case of maintenance and serviceability in mind. 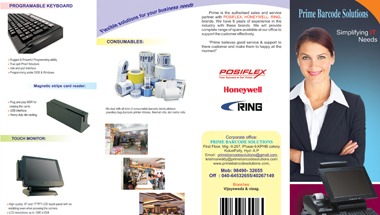 Integrated thermal printer featuring “One-button cutter blade retract” design. It is achieved by simply pushing the button to open the paper cover and automatically retract the cutter blade for easy paper for easy paper jam removal. (excluding XP-2008H). 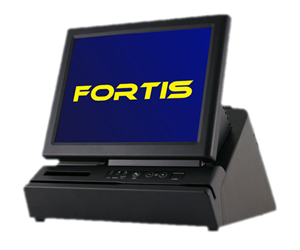 Posiflex presents the fan-free XP-3300 / 3000 series as advanced POS terminals. 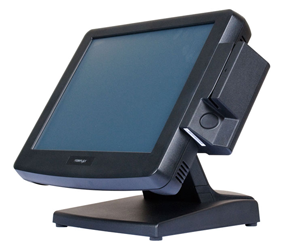 The all-in-one POS terminal XP-3300 / 3000 series apply Atom CPU to work efficiently. Offering 1000 Mb Ethernet and plenty of ports such as USB, Serial, VGA and CR, the XP-3300 / 3000 series are advanced in a well-executed design for better operating. All-in-one integrated system with touch screen, thermal printer and MSR that cleans up the counter space of all the unsightly wining. User-friendly “drop-load” design for easy printer paper roll loading, High quality, rock solid build & design with case of maintenance and serviceability in mind.